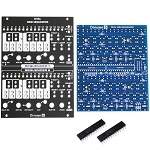 This module gives you two handy little sequencers behind one Eurorack panel. Why would you need more than one sequencer? 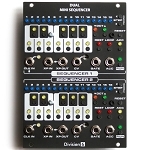 Why would you need mini sequencers? Each one gives you the standard CV and gate out, plus an ACC out (Accent? Accessory?) Use it to open up a filter, enable a glide, trigger a drum, or whatever you can think of. 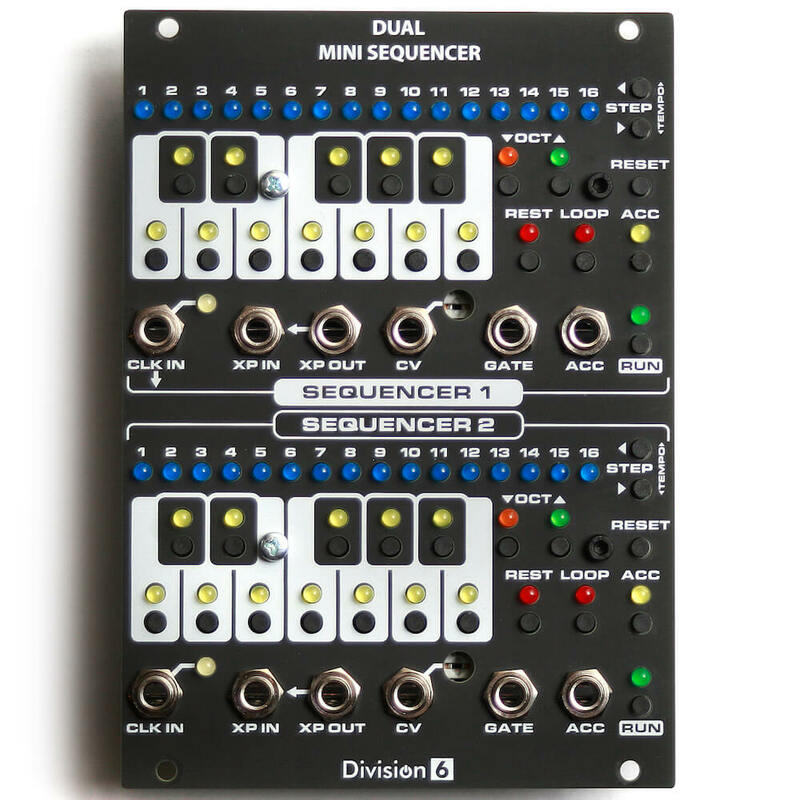 The two sequencers will run completely independently, or you can daisy-chain them using the XP IN/OUT jacks to create sequences of any length. Each sequencer has its own internal clock to get you up and running in a hurry, but you can connect an external clock if you need greater control of tempo or want to sync with other devices. The module stores your latest sequence even when the power has been removed. This module has lots of LEDs and is very shiny, but only two of them are ever on at a time which keeps it from loading down your power supply.